That’s beginning to look like something now; there is a bit of air and energy in it. 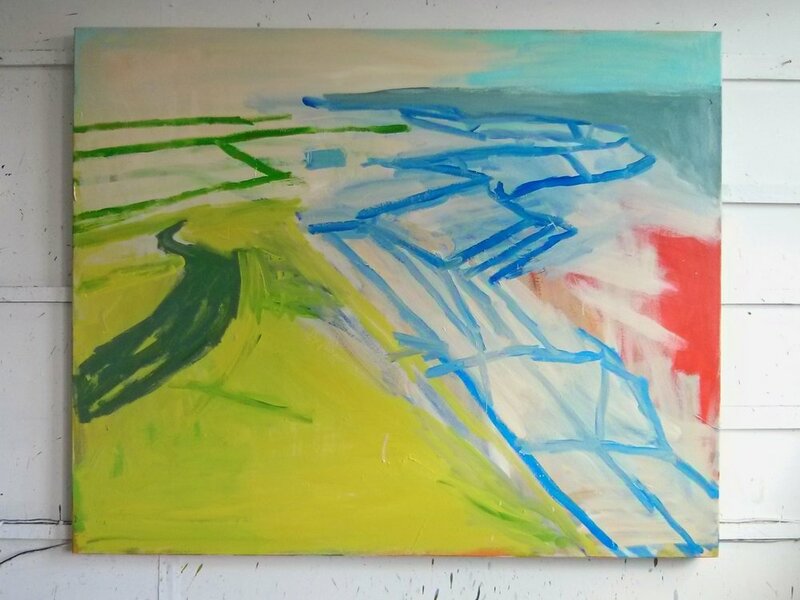 Late in the day I painted out the dark grey track at centre left with the idea of putting it back in tomorrow, but lighter. We shall see.